Shopping for a used car at a used car dealership used to be an experience that was universally dreaded. “Used car salesman” is almost a slur, embodying a sleazy, no-morals, pushy sales rep out to sell clients a lemon. While that certainly doesn’t describe the experience customers should expect from every used car dealership (and certainly not what you should expect from Carl Black Hiram), it was common enough to bring forth the stereotype. Maybe that’s why the face of used car shopping has changed so much in recent years. The advent of widely available information and communication due to the internet has changed the process of buying a used car in more ways than just the obvious. Learn how to make this new marketplace work in your best interest with the tips and observations listed below. The internet keeps you up to date on the constantly changing used car marketplace. One of the greatest gifts the internet has brought to our culture is easily accessible, widely available information. No longer does a group of friends spend half a night out trying to figure out what TV show one of them is remembering or what the lyrics are to a certain song. All the knowledge in the world, it seems, is right at our fingertips. It’s no different when it comes to the state of the auto marketplace in any locality. Similarly, no longer do you have to call around to private sellers or dealerships to check availability and pricing of a model you’re interested in if you want to be informed. 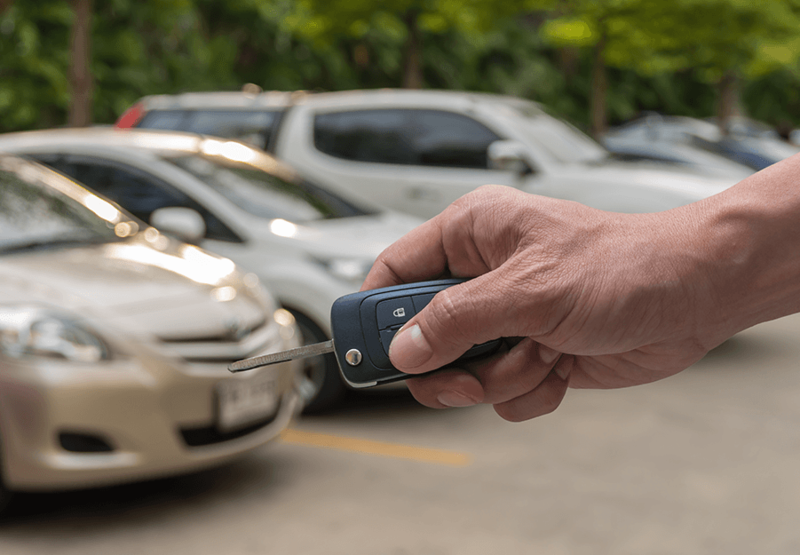 A quick Google search can show you how prevalent or rare the car you want is in your area, as well as giving you a general idea of the going rate. That means you can walk onto the lot of a used car dealership knowing you’re knowledgeable and current on what to expect, which keeps you from feeling like a sitting duck. Online price listings mean much less negotiation. It used to be that the sticker price was for suckers, and car shopping was partially a game of tug-of-war. Once you selected the vehicle you wanted, you began the battle of haggling, sure the entire time that the dealership was making out like a bandit and your purchase was lining the sales representative’s pockets with a fat commission cut. With the window into the marketplace the internet provides, it no longer makes sense for a used car dealership to hike up their sticker price. After all, no one’s going to go check out the highest-priced model of the car they want in their area. As a matter of fact, 2014 was the third year pretax profit margins at new car dealerships remained stagnant—and low—at 2.2 percent. Used car dealerships are no different. Though used cars are, as a rule, more profitable to sell than new cars, the average sale only puts $2,361 of gross profit in the dealership’s coffers. To keep reeling customers in with the listed pricing, used car dealerships need to remain competitive with others nearby. That means pricing has become more standardized, and you can expect much less negotiation because there’s just less padding on the listed price to allow for it. And less negotiation means less stress when you’re shopping at used car dealerships. Take advantage of all the information the web has to offer. Pricing isn’t the end of the road when it comes to data on used cars. Thanks to the internet, you have much more information than shoppers ever before literally at your fingertips. Reviews can let you know not only which used car models other shoppers rate as durable and a quality investment. They can also tell you what the environment is like at a dealership, so you know whether it’s a good fit before you ever set foot on the lot. Automotive guides such as the Kelley Blue Book, Edmunds, Consumer Reports, J.D. Power, and more can tell you the risks and rewards associated with each vehicle as well as providing safety and popularity statistics. You can read articles on how to approach the used car shopping experience to make sure you’re prepared and informed. And the most fun of all? YouTube is chock-full of driving demonstrations, how-tos on technology upgrades, options previews, and more, so you can feel like you’ve given a car a test drive before you arrive at the used car dealership. Hate shopping for cars? Let email do the work for you. The experience of shopping for a car face to face can be exhausting, extensive, and sometimes even annoying. The internet allows you to get much of the legwork done right from your computer, and there are some distinct advantages to starting your car-buying process this way. Once you’ve selected your desired make and model and given it a test drive to be certain, it’s time to start phase two. Determine which used car dealerships in your area offer that vehicle, check their websites to learn about their financing and other options, and check reviews to get a feel for each one. The car manufacturer’s website is a good stop, too, so visit it to check for rebates or other incentives. Check into your financing options at the dealerships you plan to visit as well as your bank or credit union. Now it’s time for round three, with the email that shows a used car dealership you know what you want and don’t plan to spend all week visiting showrooms to find it. Skip the “contact us” forms on dealership websites if you can so you can load up your “To:” line with the email addresses of all sales representatives you’re contacting. This shows each of them what (and who) they’re up against. Let them know your desired make and model, as well as the fact that you’ve completed a test drive. Specify the options you’d like, and tell the salespeople you’re pre-approved for financing with your bank or credit union, listing the interest rate. Then ask them if they can beat it, setting a deadline by which you intend to purchase a vehicle. Then sit back and let the salespeople do the negotiating because you’ve turned the tables and the offers are coming to you. It’s a win-win. As you can see, using the internet intelligently goes a long way in making your used car shopping experience more enjoyable and effective. Using the resources available to you online can help you make the smartest decision about which car is best for you. Once that’s nailed down, the network of information you can quickly gather on the web will help you get the best deal. No trucking around town to several different used car dealerships. No painful, day-long negotiation process that has you stuck in a waiting room for hours. Just the car you want at the best price.